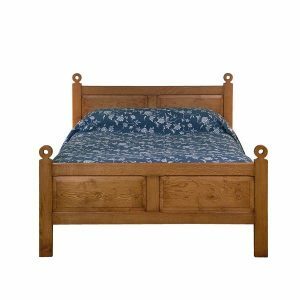 Since 1969 Tudor Oak have been making handmade solid oak beds and other bedroom furniture. 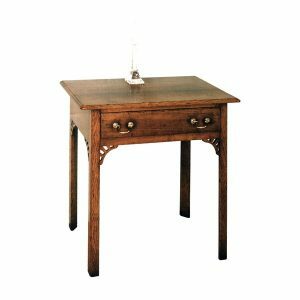 Classic English furniture inspires our designs and our quality of craftsmanship offers a lifetime of style and comfort. 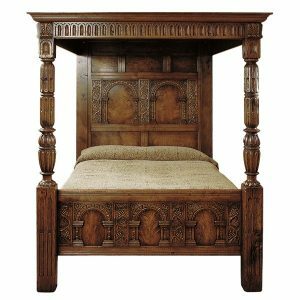 When you order a Tudor Oak solid wood bed you will be ordering not just another piece of furniture for your bedroom. Moreover, it won’t even just be something to sleep on. 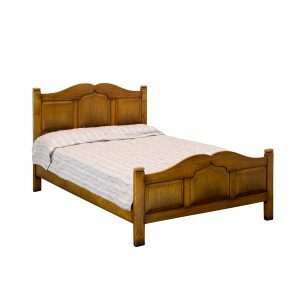 A beautiful solid wood bed will become a focal point of your bedroom and transform it into a true haven. We will help you to choose the style to suit your style, taste and budget. From a four poster bed with beautiful hand-carved posts to a simple and elegant oak bed in a contemporary style. 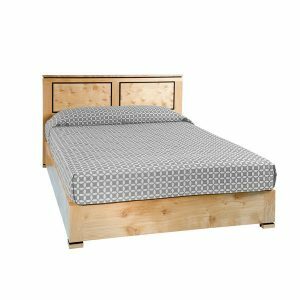 Needless to say, a solid wood bed is a must in any interior and our beds will grace your home for many years. 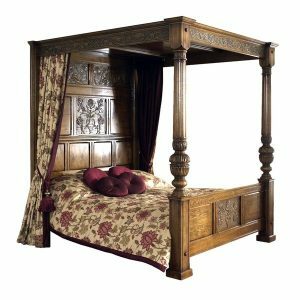 What Makes Tudor Oak Beds Special? Our oak beds are handmade to order, and we use only the best quality English and European oak. 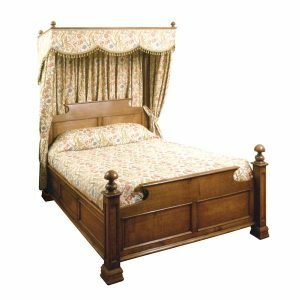 Select a Tudor bed from our traditional range or an Arts & Crafts style bed from our contemporary collection. 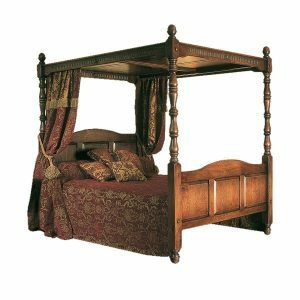 Tudor Oak beds are a timeless choice and are perfect for all the family. 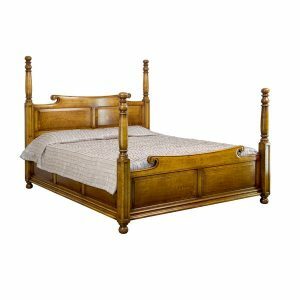 Like all our furniture, each solid oak bed by Tudor Oak is hand finished to the highest standard to the colour of your choice. The beds come in the standard UK sizes and in bespoke sizes to suit your requirements. 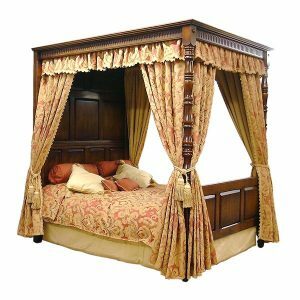 We have worked with many overseas clients and supplied them with beautiful oak beds made to their country’s standard size. 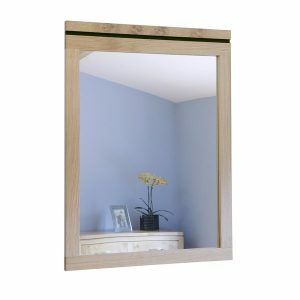 Importantly, all Tudor Oak solid wood beds come with solid ash mattress slats. 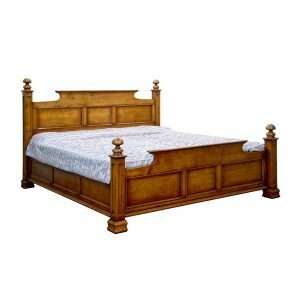 We will delivery your handmade solid oak bed in several parts and assemble it on site. We recommend that you carefully check the size of your staircase to ensure that the components can be transported to the required floor. 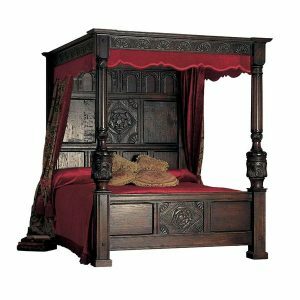 This is especially important for our 4 poster beds, as the posts are long and bulky. We will be happy to work with you on a bespoke design for your handmade oak bed. Please send us your design concept and we will produce a drawing for your approval. 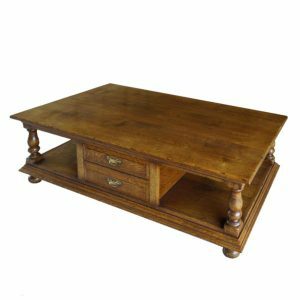 Our catalogue contains other bedroom furniture to complement your new oak bed. 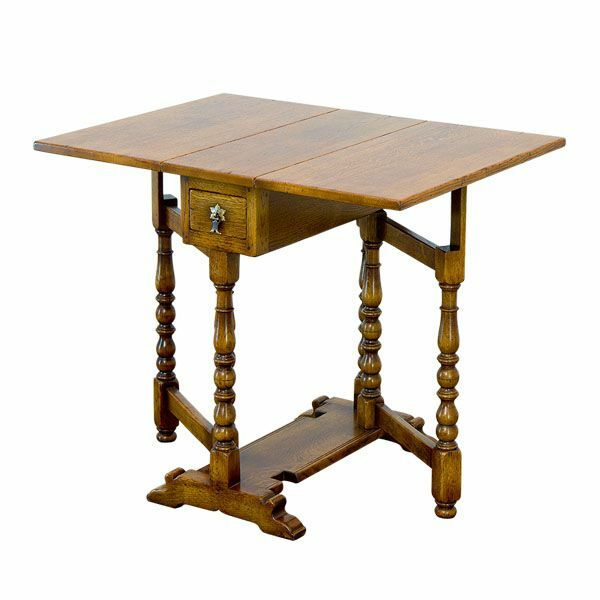 Check other sections on our website to see our chests of drawers, wardrobes, bedside & dressing tables as well as blanket boxes and coffers.